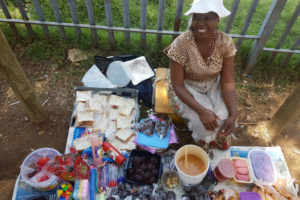 The informal business sector is the next great frontier of Africa and it is undergoing an economic revolution – a new world of small people doing big things, transforming the continent. 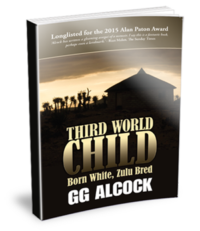 Prepare for this new generation, prepare for the Afripolitan Generation. 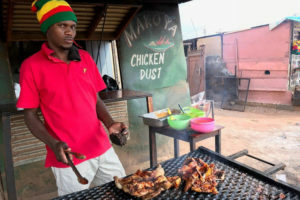 Kasi is the South African term for the township – a teeming conurbation of homes and businesses, entertainment venues and social meeting places. 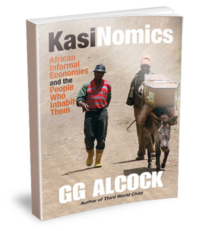 GG Alcock uses the term KasiNomics to describe the informal sectors of Africa, whether they are in the township, a rural marketplace, at a taxi rank or on a pavement in the shadow of skyscrapers. 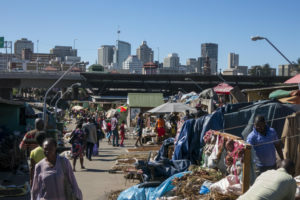 Brought up in a rural Zulu community GG has learnt and shares the lessons of African culture, language, stick fighting, lifestyle and tribal politics, along with shared poverty and community, which have prepared him for accessing the great informal marketplaces of Africa. 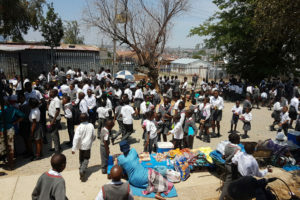 GG Alcock is uniquely placed to uncover and share the extraordinary stories of kasi businesses in which they not only survive but excel, revealing a revolutionary entrepreneurship which is mostly invisible to the formal sector. 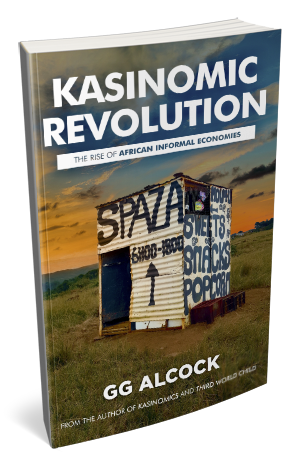 KasiNomic Revolution is a story of kasi entrepreneurs on one side, on the other great corporate success stories and failures in the informal economy. KasiNomic Revolution is at once a business book, and at the same time a deeply human book about the people and lives of rural and urban informal societies.